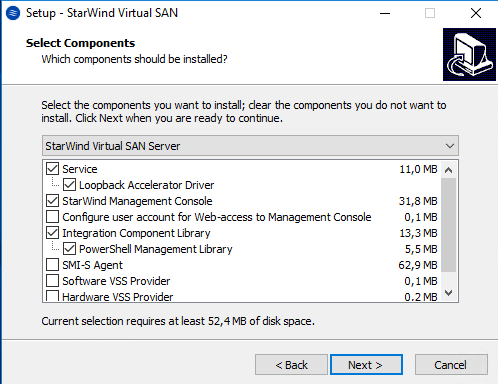 After we reviewed and verified the requirements, we can easily start installing StarWind iSCSI SAN software, which can be downloaded in trial-mode. This represents the simplest step in our list, since the installation does not have any complex step. 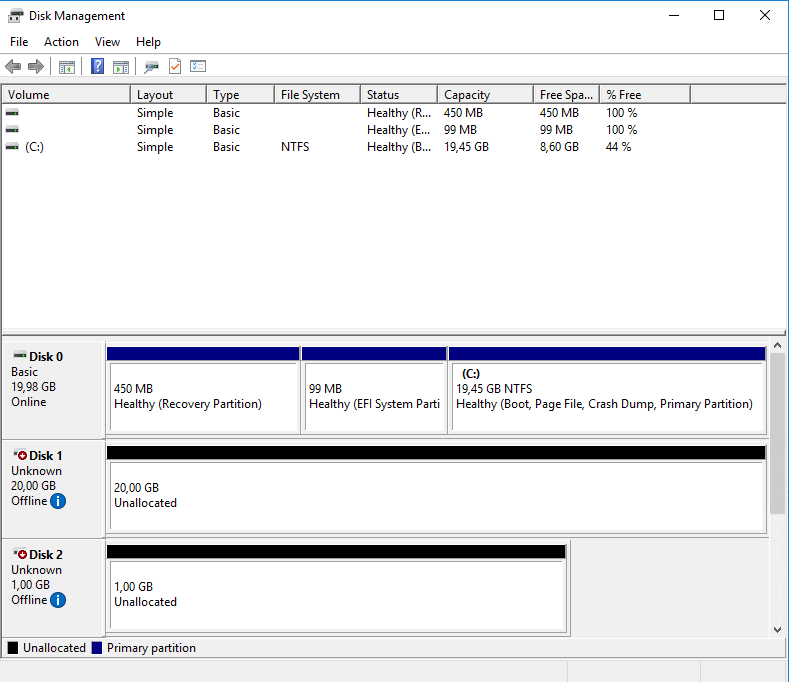 After the installation is complete we can access our console and we will see as a first step necessary is to configure the “Storage pool” necessary. We must select the path for the hard drive where we are going to store the LUNs to be used in our shared storage scenario. When we have the program installed, we can start managing it from the console and we will see the options are quite intuitive. 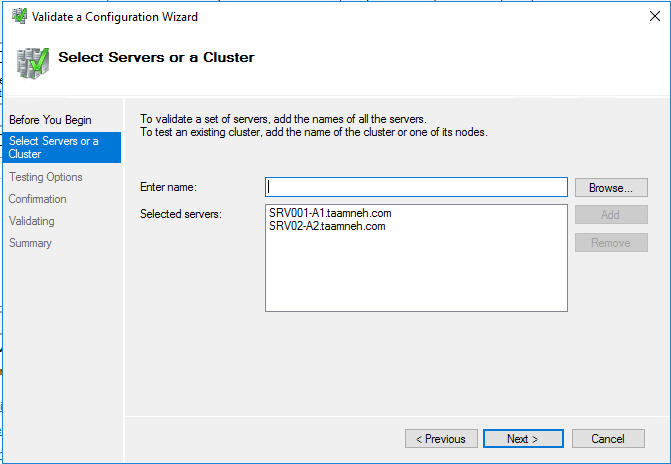 We are going to split the configuration section in two parts: Hosting iSCSI LUNs with StarWind iSCSI SAN and configuring our iSCSI initiator on each Windows Server 2016 host in the cluster. Select the “Connect” option for our local server. 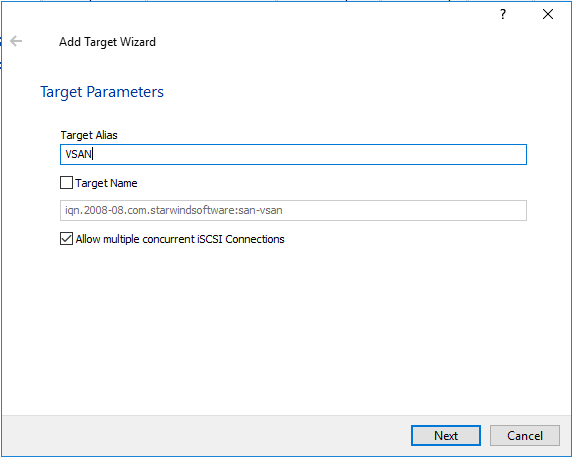 With the host added, we can start creating the storage that will be published through iSCSI: Right-click the server and select “Add target” and a new wizard will appear. 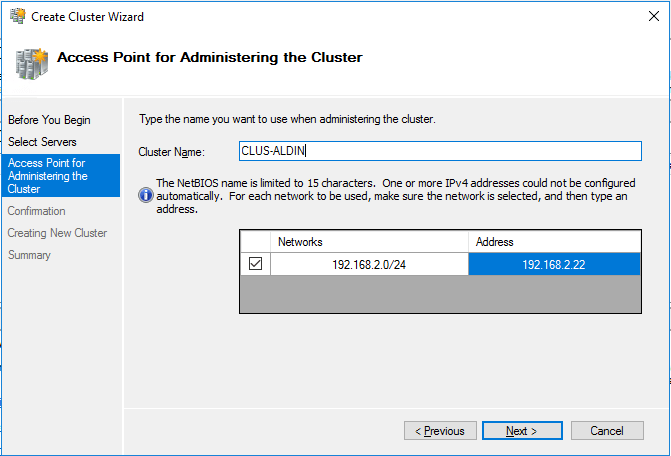 Select the “Target alias” from which we’ll identify the LUN we are about to create and then configure to be able to cluster. The name below will show how we can identify this particular target in our iSCSI clients. Click on “Next” and then “Create”. With our target created we can start creating “devices” or LUNs within that target. Click on “Add Device”. 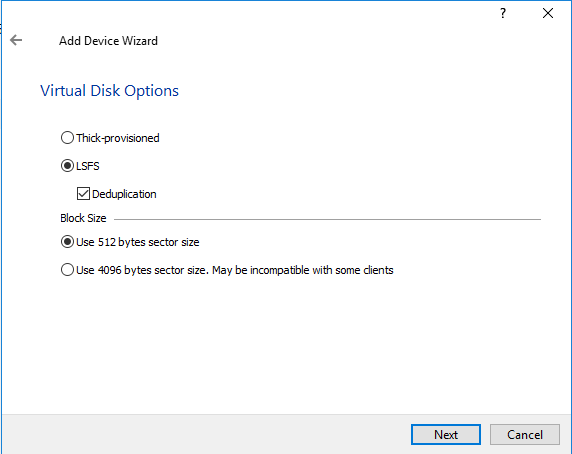 Select “Virtual Disk”. The other two possibilities to use here are “Physical Disk” from which we can select a hard drive and work in a “pass-through” model. And “RAM Disk” is a very interesting option from which we can use a block of RAM to be treated as a hard drive or LUN in this case. Because the speed of RAM is much faster than most other types of storage, files on a RAM disk can be accessed more quickly. Also because the storage is actually in RAM, it is volatile memory and will be lost when the computer powers off. 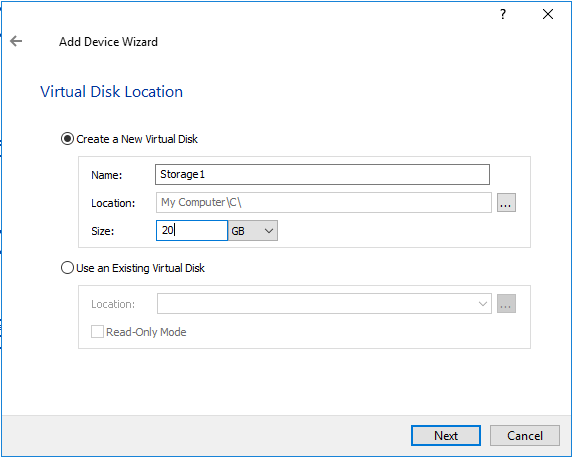 In the next section we can select the disk location and size. In my case I’m using C:\ drive and 20 GB. Since this is a virtual disk, we can select from either thick-provision (space is allocated in advance) or thin-provision (space is allocated as is required). Thick provisioning could represent, for some applications, as a little bit faster than thin provisioning. In the next section we can select if we are going to use disk caching to improve performance for read and writes in this disk. The first opportunity we have works with the memory cache, from which we can select write-back (asynchronous, with better performance but more risk about inconsistencies), write-through (synchronous, slow performance but no risk about data inconsistency) or no cache at all. Using caching can significantly increase the performance of some applications, particularly databases, that perform large amounts of disk I/O. High Speed Caсhing operates on the principle that server memory is faster than disk. The memory cache stores data that is more likely to be required by applications. If a program turns to the disk for data, a search is first made for the relevant block in the cache. If the block is found the program uses it, otherwise the data from the disk is loaded into a new block of memory cache. 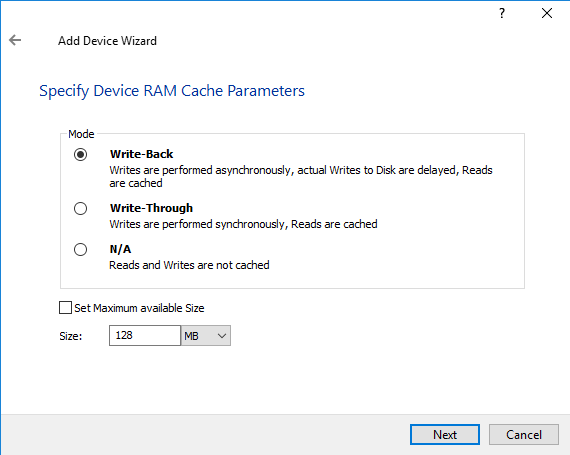 StarWind v8 adds a new layer in the caching concept, using L2 cache. This type of cache is represented in a virtual file intended to be placed in SSD drives, for high-performance. 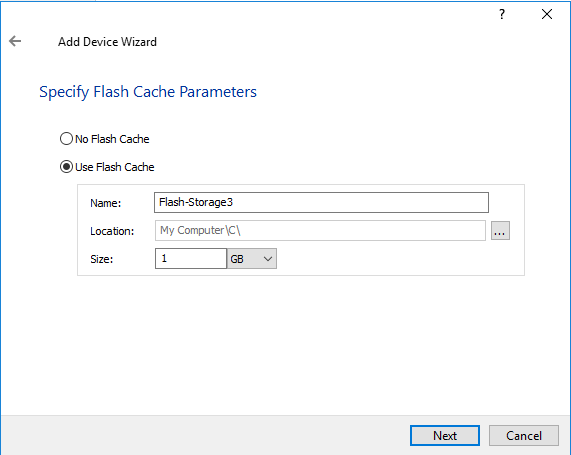 In this section we have the opportunity to create an L2 cache file. Also, we will need to select a path for the L2 cache file. Click on “Finish” and the device will be ready to be used. In my case I’ve also created a second device in the same target which will serve as witness. 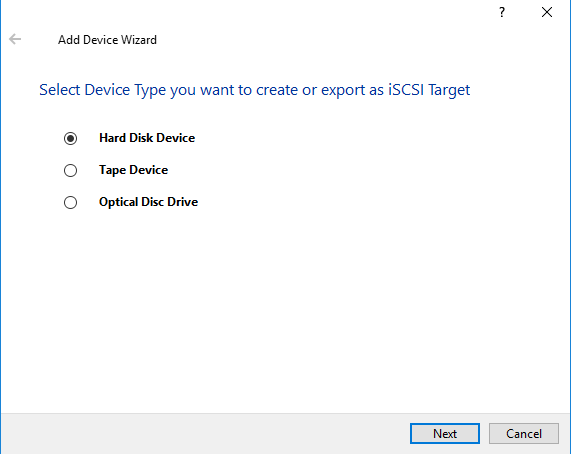 Access “Administrative Tools”, “iSCSI Initiator”. 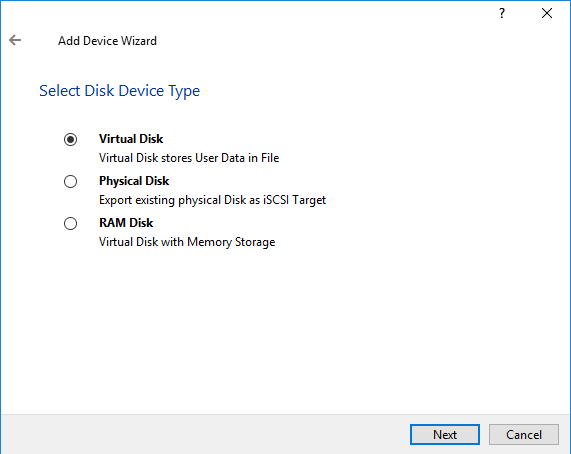 We will also receive a notification about “The Microsoft iSCSI service is not running”, click “Yes” to start the service. 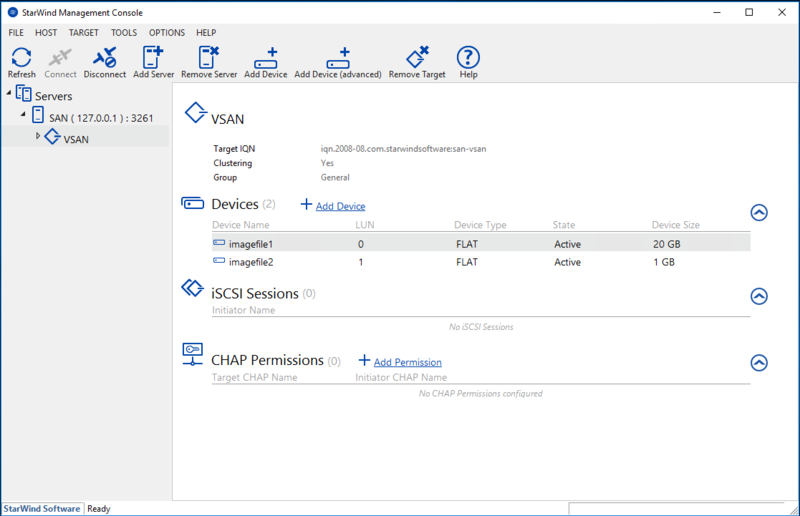 In the “Target” pane, type in the IP address used for the target host, our iSCSI server, to receive the connections. 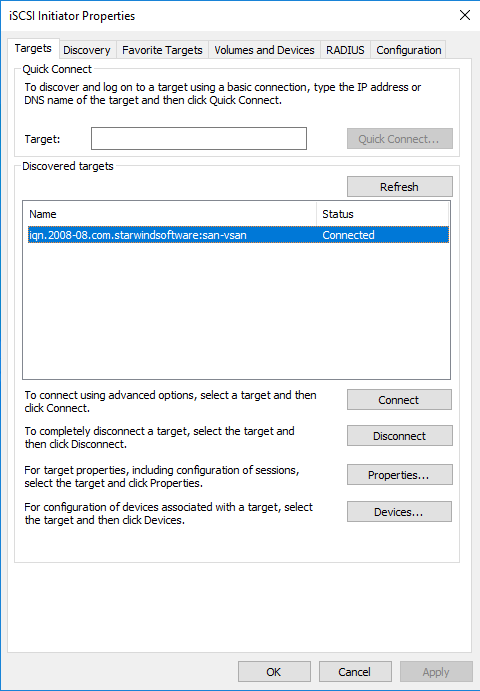 Remember to use the IP address dedicated to iSCSI connections, if the StarWind iSCSI SAN server also has a public connection we can also use it, but the traffic will be directed using that network adapter. Click on “Quick Connect” to be authorized by the host to use these files. And as a final step, just using the first host in the cluster, put “Online” the storage file and select also “Initialize Disk”. 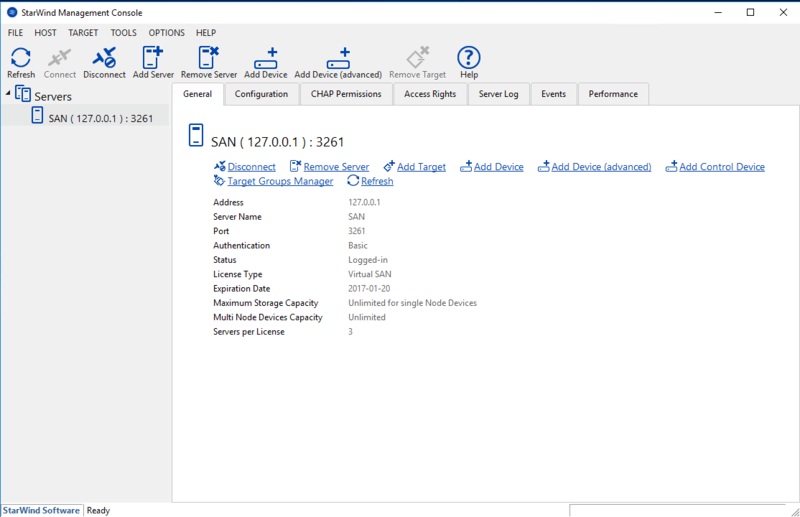 Since these are treated as normal hard disks, the process for initializing a LUN is no different than initializing a physical and local hard drive in the server. 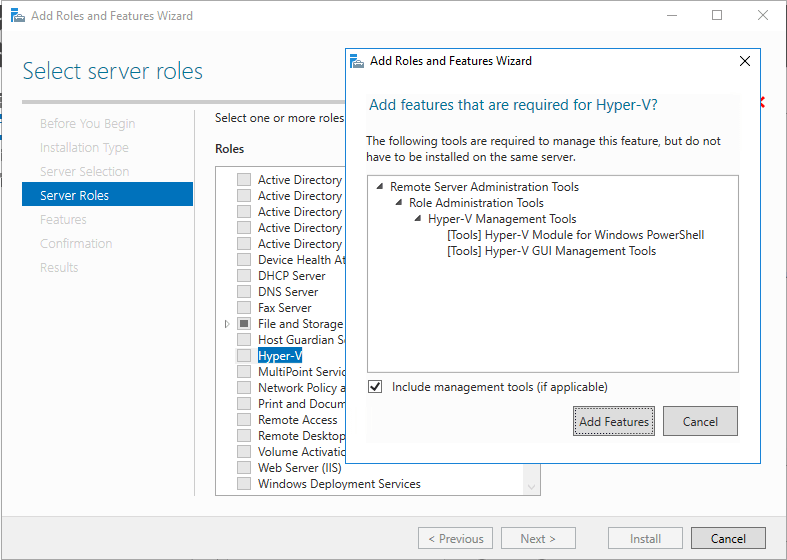 Install the Hyper-V role by using Server Manager, In Server Manager, on the Manage menu, click Add Roles and Features. 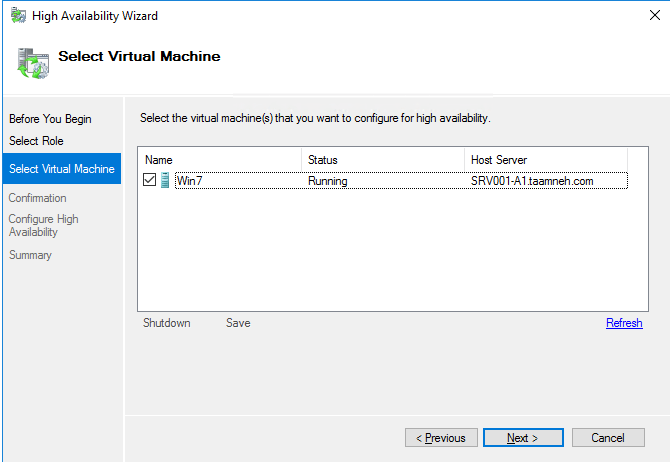 On the Select server roles page, select Hyper-V and you leave default settings for virtual switch. 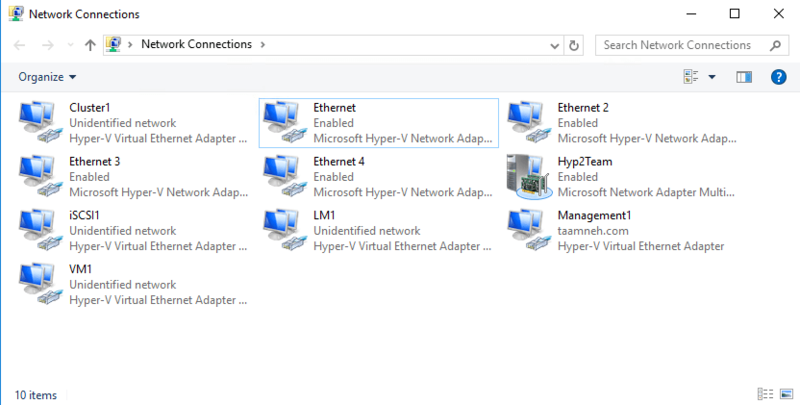 After you installed Hyper V on both host nodes on one node you can deploy one test VM. Now we can prepare network for our cluster nodes for this I will be using PowerShell. PowerShell commands below should be run as Administrator on both cluster nodes. I created VNic for Management, Cluster, ISCSI, VM, and LiveMigration and added QoS weighting. This should be repeated on second cluster node changing appropriate names and IP addresses. It should look like image below. In “Server Manager”, access the option “Add Roles and Features”. Start the wizard, do not add any role in “Server Roles”. And in “Features” enable the “Failover Clustering” option. Once installed, access the console from “Administrative Tools”. Within the console, the option we are interested in this stage is “Validate a Configuration”. 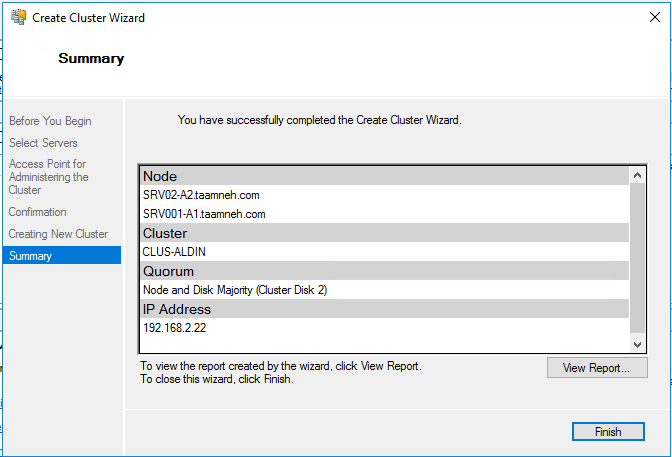 In the new wizard, we are going to add the hosts that will represent the Failover Cluster in order to validate the configuration. Type in the server’s FQDN names or browse for their names; click on “Next”. Select “Run all tests (recommended)” and click on “Next”. In the following screen we can see a detailed list about all the tests that will be executed, take note that the storage tests take some time; click on “Next”. If we’ve fulfilled the requirements reviewed earlier then the test will be completed successfully. In my case the report generated a warning, but the configuration is supported for clustering. Accessing the report we can get a detailed information. 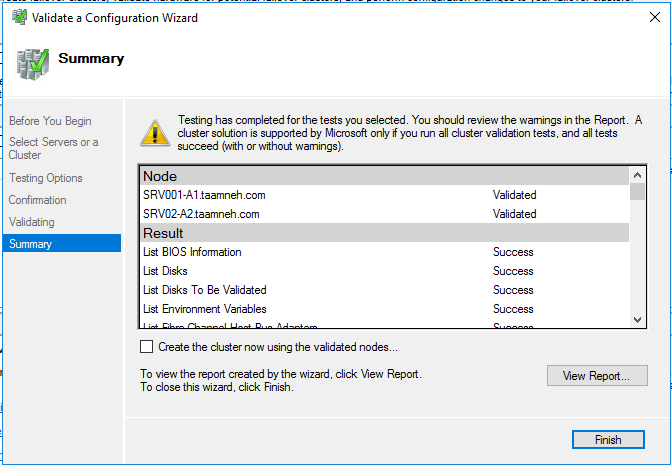 Leaving the option “Create the cluster now using the validated nodes” enabled will start the “Create Cluster” as soon as we click “Finish”. At this stage, we’ve completed all the requirements and validated our configuration successfully. 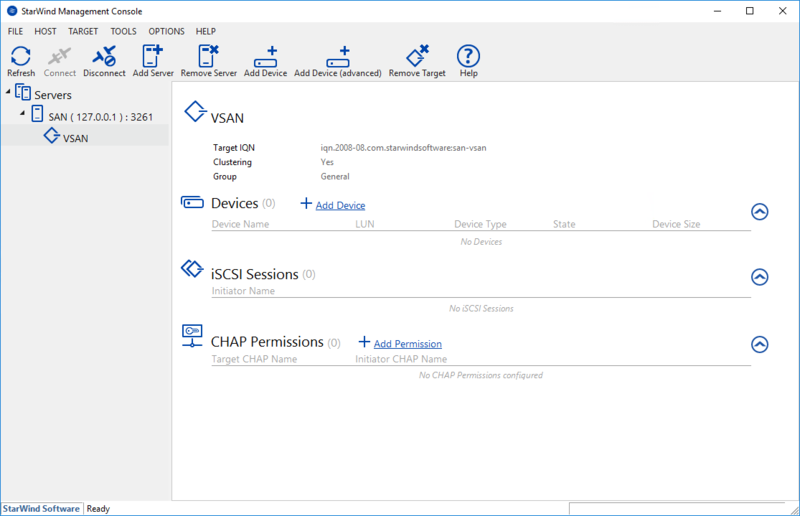 In the next following steps, we are going to see the simple procedure to configure our Windows Server 2016 Failover Cluster. 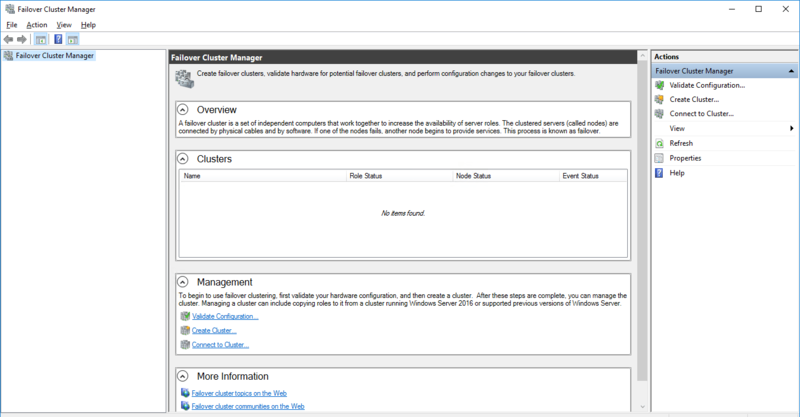 In the “Failover Cluster” console, select the option for “Create a cluster”. A similar wizard will appear as in the validation tool. The first thing to do is add the servers we would like to cluster; click on “Next”. In the next screen we have to select the cluster name and the IP address assigned. Remember that in a cluster, all machines are represented by one name and one IP. In the Confirmation page click on “Next”. 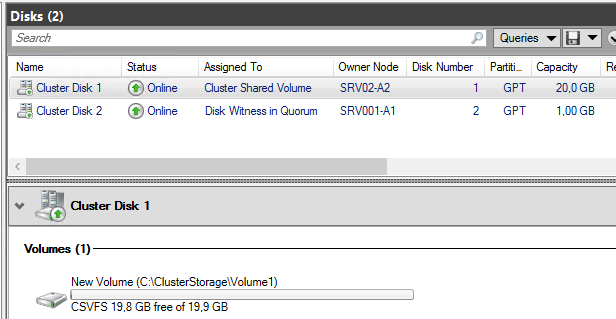 The default option for a two-node cluster is to use a disk as a witness to manage cluster quorum. This is usually a disk we assign the letter “Q:\” and does not store a large amount of data. The quorum disk stores a very small information containing the cluster configuration, its main purpose is for cluster voting. To perform a backup for the Failover Cluster configuration we only need to backup the Q:\ drive. This, of course, does not backup the services configured in the Failover Cluster. Cluster voting is used to determine, in case of a disconnection, which nodes and services will be online. For example, if a node is disconnected from the cluster and shared storage, the remaining node with one vote and the quorum disk with also one vote decides that the cluster and its services will remain online. This voting is used as a default option but can be modified in the Failover Cluster console. Modifying it depends and is recommended in various scenarios: Having an odd number of nodes, this case will be required to use as a “Node Majority” quorum; or a cluster stretched in different geographically locations will be recommended to use an even number of nodes but using a file share as a witness in a third site. For more information about quorums in Windows Failover clusters, review the following Microsoft TechNet article: “Configure and Manage the Quorum in a Windows Server 2012 Failover Cluster”. 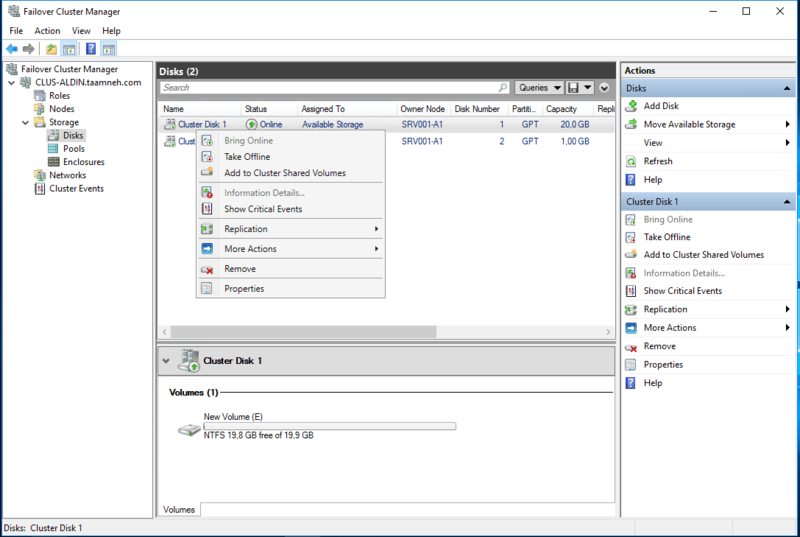 Disk after it is added to Cluster Shared Volumes. 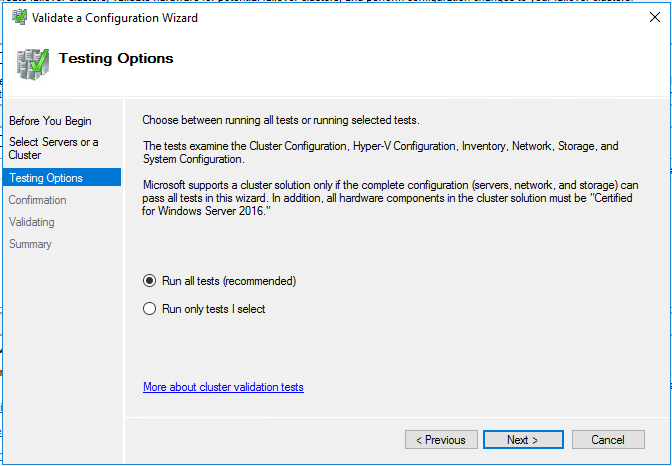 At this point, the two-node Server 2016 cluster has been built and CSVs have been enabled. Next, you can install clustered applications or add roles to the cluster. In my case, I’m building the cluster for virtualization support, so my next step is to add the Virtual Machine role to the cluster. 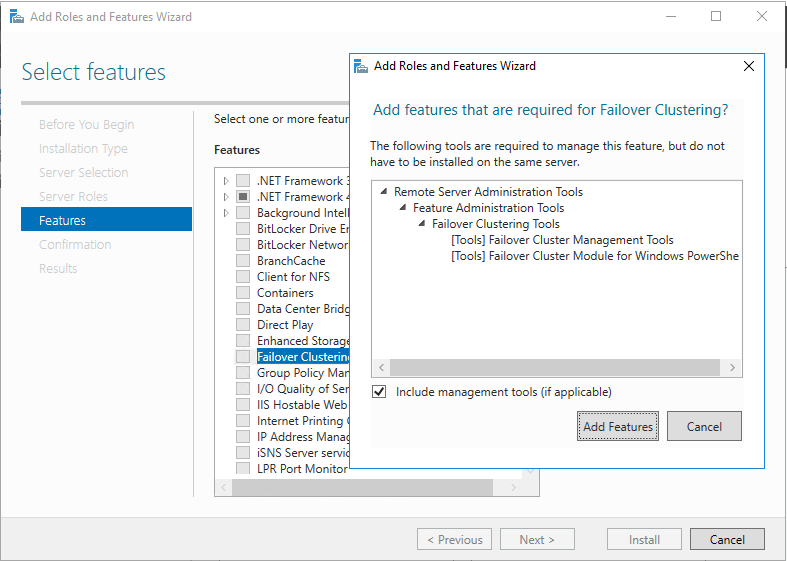 To add a new role, select the cluster name in Failover Cluster Manager’s navigation pane and click the Configure Roles link in the Actions pane to launch the High Availability wizard. Click Next on the welcome page to go to the Select Role page. 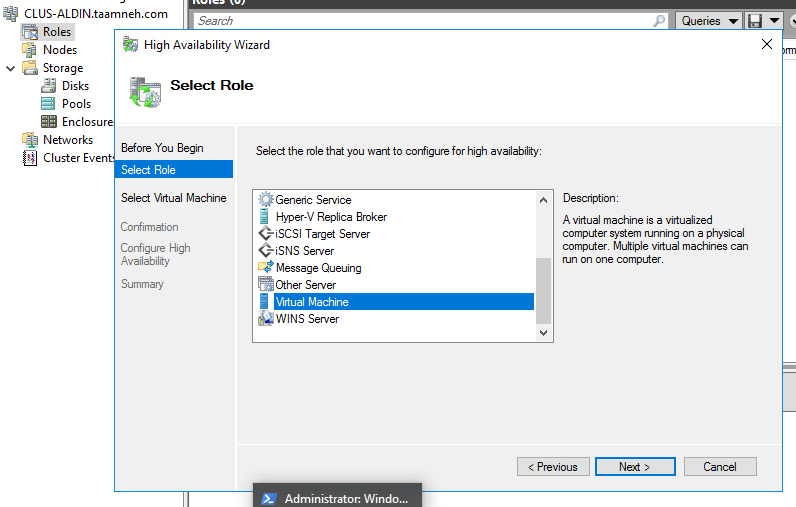 Scroll through the list of roles until you see the Virtual Machine role, as you see in image below. Select that role and click Next. 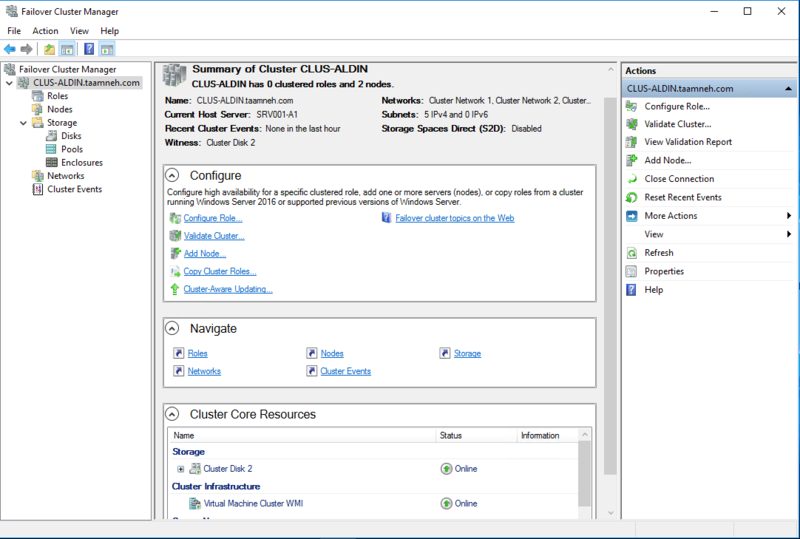 On the Select Virtual Machine page, all the VMs on all the cluster nodes will be listed, as shown in image. Select the VMs that you want to be highly available. Click Next. After confirming your selections, click Next to add the Virtual Machine roles to Failover Cluster Manager. 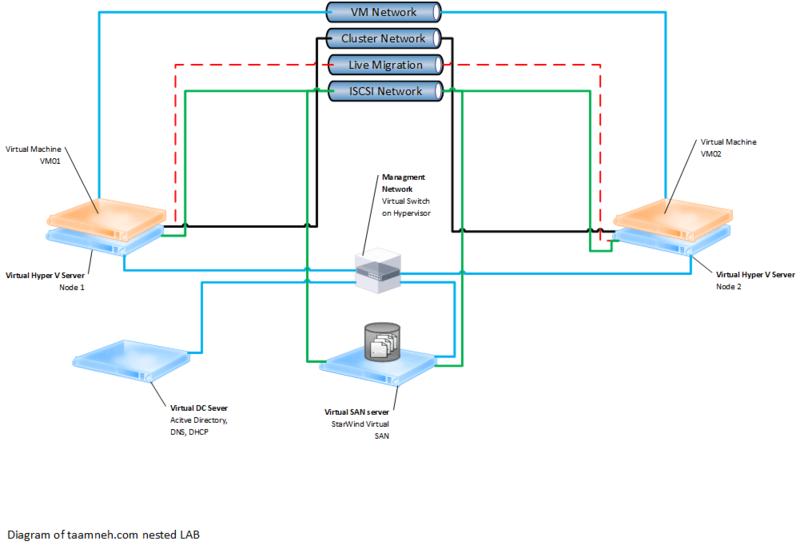 With this we added VM to cluster and our nested cluster is hosting fully functional VM on CSV making it highly available. All of this is on our Windows 10 workstation :). That is very cool but lets try to do it better with Nano Server and that will be our Scenario 2 in next post.